Delicate, chic skirt with a pencil cut is the base of the office convention. Clarisa is a spectacular blue skirt emphasizing the silhouette. It has a universal length in front of the knee and is high-waisted. 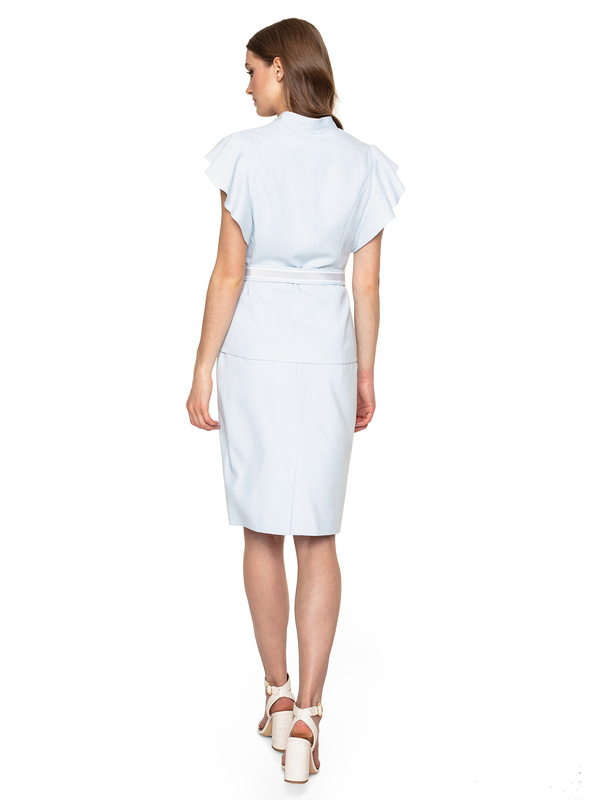 Clarisa is irreplaceable for special occasions such as an interview or an important family event. It is combined with Clarisa uniform jacket from the same spring-summer collection by Potis & Verso and a white shirt. Match it with white sandals and a bright bag. You can also bet on just one blue styling element and match your skirt with a dark jacket, shirt and accessories such as navy blue heels or a cobalt handbag for the shopper.